When you've visited all the Thai places in your vicinity and all you get is butter chicken like Thai Curry and watery Khao Suey, you keep your expectations low at a new Thai restaurant. Much to our surprise, Busago, a tiny little eatery, shines brightly between Thai Ban and Mia Cucina. Divided into an outdoor and indoor seating, this place is always full considering they have hardly 5-6 tables. But waiting is worth it! Without wasting much time, as soon as we got a table, we got straight to ordering. The menu is very limited, with curries, khao suey, momos and smoothies & juices.We called for the chicken momos, the red thai curry and the khao suey. 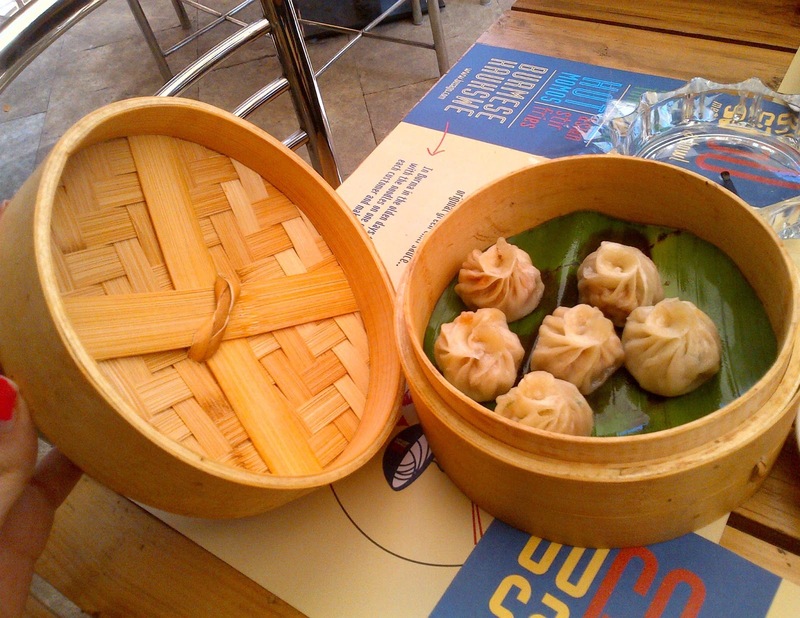 We were first served six tiny but delicious pieces of momos. They were too tiny and before we could enjoy them, they were over! Next up were the Curry and the Khao Suey. 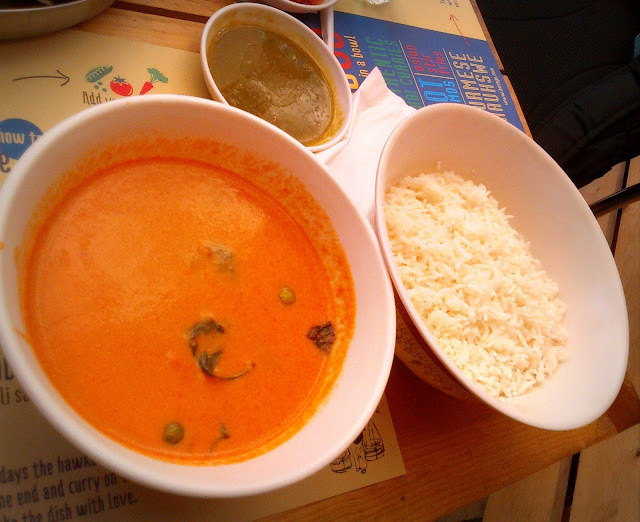 Two big bowls of curries arrived followed by two big bowls of rice and noodles. 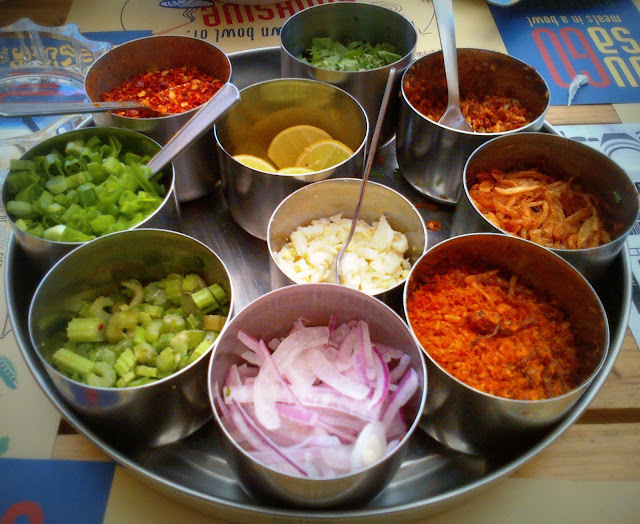 That was not it, we were also served a variety of spices alongside to add on to our curries as per our taste. Very impressive and the food was delicious as well! All we missed was a glass of wine, hope they serve us some on our next visit!